The Madison Blaze traveled to Milwaukee in what is known as their biggest rivalry. A special thanks goes out to FIVE night club, Blue Wolf Healing, Badger Popcorn, Villa Tap and Mike’s Auto Service Inc. for their support of the Madison Blaze! 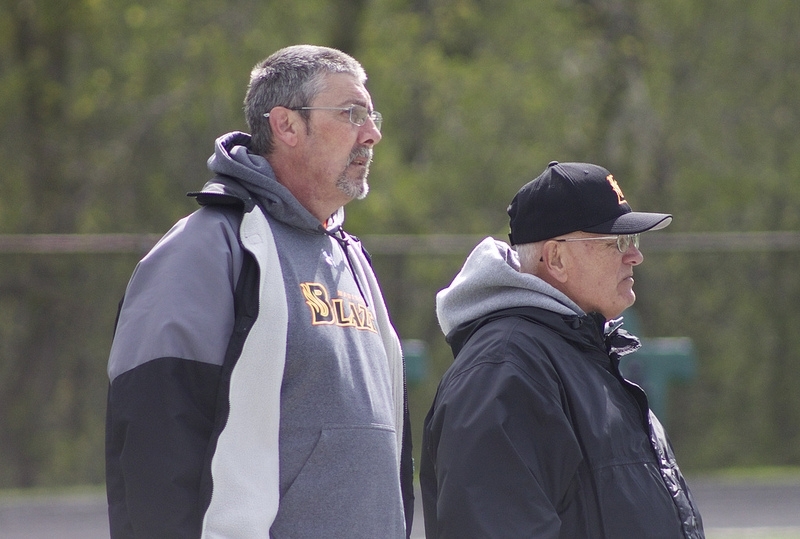 Both teams began the game with guns blazing. Leslie Gittings made it look effortless to run 93 yards on four attempts for an average of 23.3 yards per carry, which includes a 60 yard touchdown run! 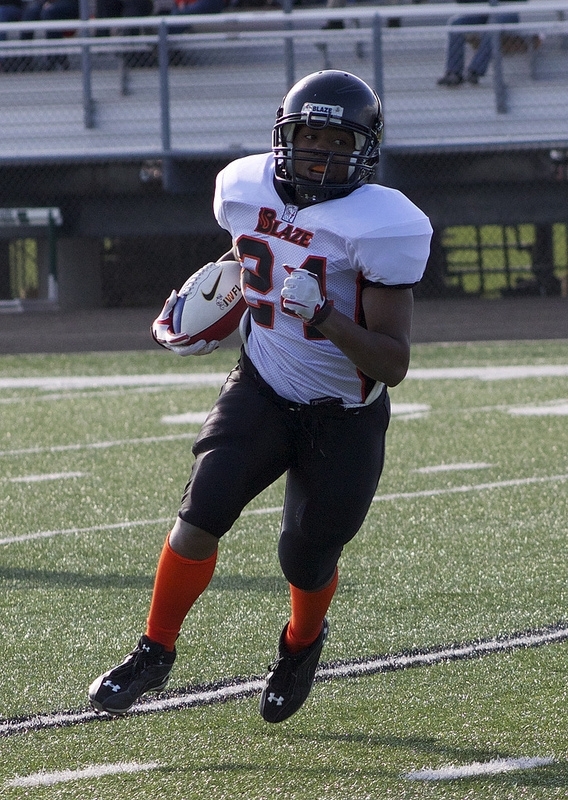 Kara Haines added an additional 50 yards and a touchdown. 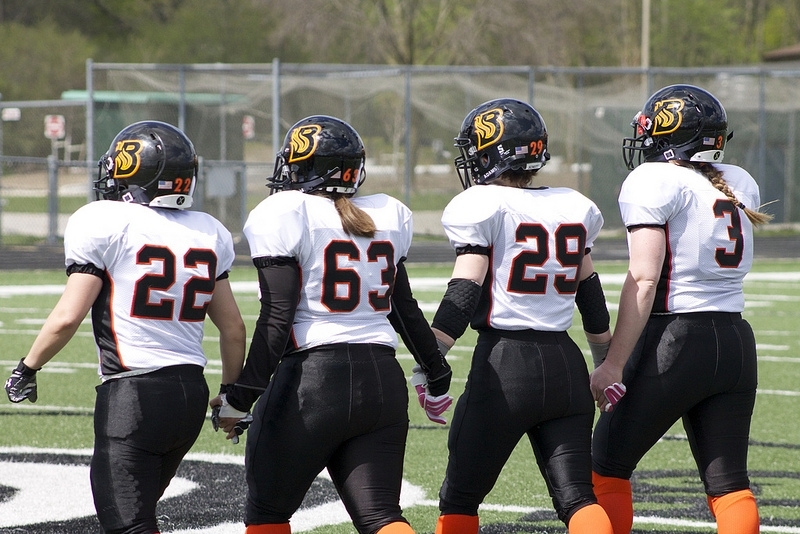 The defense proved to be a powerful force for the Blaze, with Pam Close leading the team with eight tackles and Becky Havens following closely behind with seven tackles. 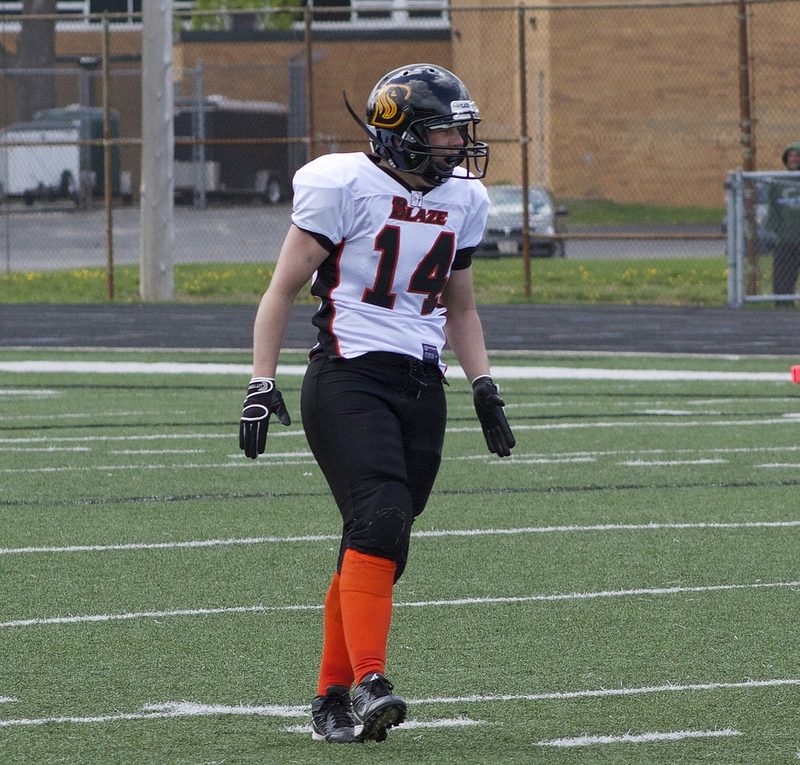 The Blaze continued to fight as Erica Gittings forced a fumble and defended a pass in addition to her three tackles. The Blaze continued their fight as Kelsey Justin had two defended passes and Tiffany Loomis added a QB sack for a loss of eight yards! 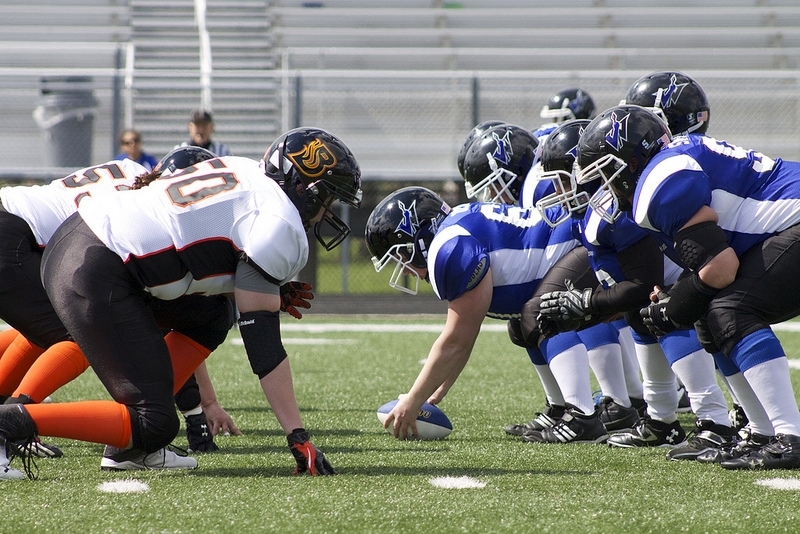 The Madison Blaze proved that they play with all their heart as they lost to the Wisconsin Warriors 29-15. Another special thanks goes to our team trainer, Susan Long of UW Health Sports Medicine for all of her hard work! We are all grateful for and remember that this season would not be a reality without the gracious support of our sponsors and partners. Madison Blaze 2013 partners: Spot on Graphics, UW Health Sports Medicine-Susan Long, Postal Connections & Integrated Sport and Spine Clinic of Madison.